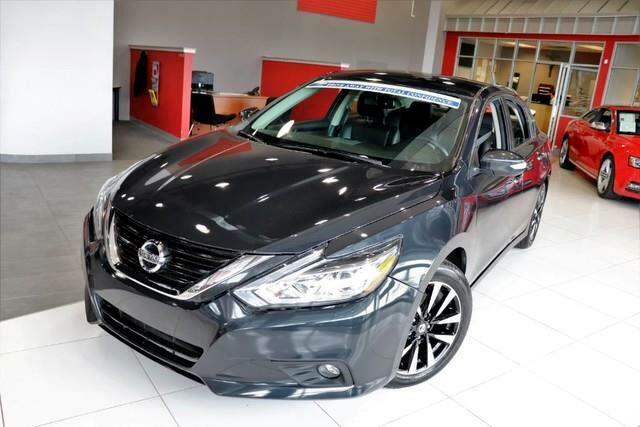 This 2018 Nissan Altima 2.5 SL is proudly offered by Quality Auto Center Save money at the pump with this fuel-sipping Nissan Altima. There is no reason why you shouldn't buy this Nissan Altima 2.5 SL. It is incomparable for the price and quality. You've found the one you've been looking for. Your dream car. The Nissan Altima 2.5 SL will provide you with everything you have always wanted in a car -- Quality, Reliability, and Character. No Credit / Bad Credit / No Paystubs, No problem !! ! All Approved ! Everyone drives ! CLEAN, GORGEOUS, LOW MILES, SHOWROOM CONDITION. CALL NOW QUALITY CERTIFIED up to 10 YEARS 100,000 MILE WARRANTY , To Certify a vehicle, there will be an additional cost for Certification. CALL NOW For details. STUNNING AGGRESSIVE LOOK ON THIS BEAUTIFUL--Call today to schedule a test drive... Good Credit/Bad Credit/No problem!!!! Get paid cash? No problem!! 100% Credit Approval with interest rates starting at 2.49% for qualified customers, our rates will not be beaten. We price our cars at wholesale price to guarantee the best deals for our customers. Our inventory moves quick, please call to confirm the availability of the vehicle of your interest Springfield location 973-564-0112. This vehicle is located at our SPRINGFIELD location. Come visit our new showroom in Springfield NJ.